Along with the introduction of two new watermelon smoothies this summer, Jamba Juice debuts the option to add collagen to your smoothie. While best known as a cosmetic supplement, collagen use has been trending as a nutritional supplement. 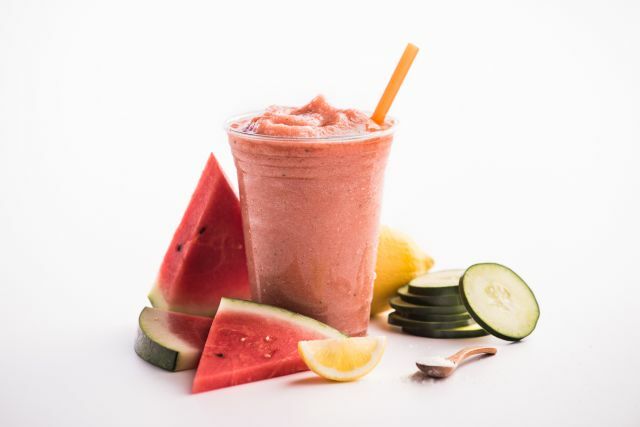 One of the new smoothies, the Poolside Fit smoothie, includes the collagen boost by default along with a watermelon juice blend, cucumber, lemon, stawberry, and peach. The other new smoothie is the Watermelon Breeze, which features a mixture of watermelon juice blend, strawberry, raspberry sherbet, and pineapple.